So you’ve been reading or hearing this name, “Allan Kardec”. You probably know he’s related to Spiritism, and he’s often quoted in Spiritist texts, public talks, and more. But who is this guy? What is his importance, or role, when it comes to all the Spiritist teachings and practices? 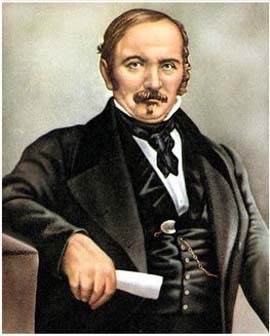 Though Kardec was the first to say that Spiritism did not invent or become the first revelation of the core concepts found in its teachings, we owe a great deal of respect and gratitude to this man who admirably rose to the task of bringing forth the information delivered from the spirit realm, in such a consolidated, yet comprehensive, logical, credible, and inspirational body of knowledge. These characteristics mark some of the most important contributions of Spiritism, in which lie great treasures for aiding and propelling the moral and spiritual progress of humankind. Kardec was a noble spirit who was born into this particular lifetime with the highly respectable calling of joining forces with advanced souls in the spirit realm, along with a select group of other incarnate men and women, in order to carry out this task of tremendous importance. After his initial observations of the psychic phenomena that became so popular in the mid 1800s (rappings, table-turning, etc) and other related events, ones that served as an invitation for him to discover the intelligence and deeper meaning beneath the “entertaining” surface of those manifestations, Kardec faithfully followed the path through which he would fulfill his mission. Using his own natural curiosity and extensive educational background, Kardec applied his skills in scientific observation and analysis to study both the phenomenon of mediumship, as well as a multitude of spirit communications that were obtained through this faculty. These were communications channeled by mediums that Kardec personally worked with, as well as mediumistic writings obtained in other places around the globe and sent to him. Kardec’s strong ability to reason, in combination with his healthy degree of skepticism, shaped the approach that he took in studying these communications; as such, he went to great lengths to subject them to tests of logic and universal agreement, recognizing that the spirits were just like humans – varied in their degree of knowledge and advancement – for which they represented sources of information but not infallible experts. His own moral and intellectual character also served him in grasping the concepts that were revealed through the communications, so as to help explain them through the commentary and discussions he added in the books he eventually published. Kardec, himself, coined the term “Spiritism” – which acknowledges our communication and interaction with discarnate spirits, reincarnation, and more – so as to differentiate the belief system from “Spiritualism” – which merely recognizes the existence of God and the soul. He is known, among Spiritists, as the “codifier of Spiritism”, because he did just that with the collection of information gathered from superior, or more advanced spirits. After all of this meticulously careful study, he organized and complied the Spirits’ communications and teachings into the 5 fundamental works known as the codification of Spiritism. In addition, he published other Spiritist books, along with the periodical journal entitled “Revue Spirite” (“Spiritist Review). Kardec’s wisdom, the solidity of his work, and the value of the Spiritist teachings can only be truly appreciated with a deeper study of these works, and we invite and encourage anyone who seeks a greater knowledge about the origin, meaning, and destiny of life to check out this amazing resource for spiritual enlightenment. To learn more about the spirit phenomena and psychic manifestations of the mid 1800s, which ignited the events that gave birth to Spiritism, just click on this item on the menu at left. To read more about Allan Kardec’s background, how he got started in this work with spirit communications, and how he came to codify the spirit teachings and revelations into the fundamental works of Spiritism, just click “Next”.